Back in early September, I put together my Top 5 Anime Films (Novice Addition). It quickly became evident that my anime knowledge was embarrassingly small, even with the well-known Hayao Miyazaki (Spirited Away). While organizing this marathon, I knew that an anime film would be the right choice. Miyazaki's environmental fable Nausicaä of the Valley of the Wind stood out as the obvious pick to close out this marathon. One thousand years earlier, an apocalyptic war called the "Seven Days of Fire" destroyed the world as we know it. Giant insects populate this world, and the most notable ones are the Ohmu, who resemble caterpillars and can be destructive if they're enraged. Nausicaä (Sumi Hiamamoto) lives in a village near the Toxic Jungle, which is deadly to anyone not wearing a gas mask. Her life changes when an airship from the nation of the Tolmekians crashes near their home. Its cargo is a massive warrior insect that could offer the key to destructive power. 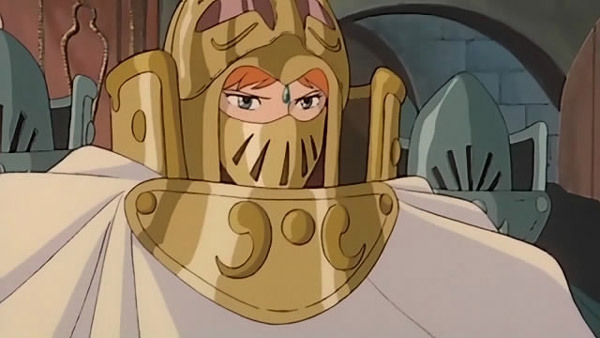 Princess Kushana (Yoshiko Sakakibara) arrives with her troops to capture this embryo, and a full-scale war begins among the Tolmekians, the Pejite, and an enraged horde of insects. They world is unlikely to survive this battle. A predominant theme in many of Miyazaki's films is our destruction of the natural world through war and the rise of the industrial age. This is true of this film, which depicts a post-apocalyptic environment drastically altered by a destructive conflict. Nausicaä has a strong connection with the natural landscape and its inhabitants, but she's a rarity in this land. The power-hungry Tolmekians have direct connections with the major governments of the 1980s (and today) that use war and intimidation to control their opponents. The Cold War was still ongoing in 1984, and fears of a nuclear war remained in the public consciousness. 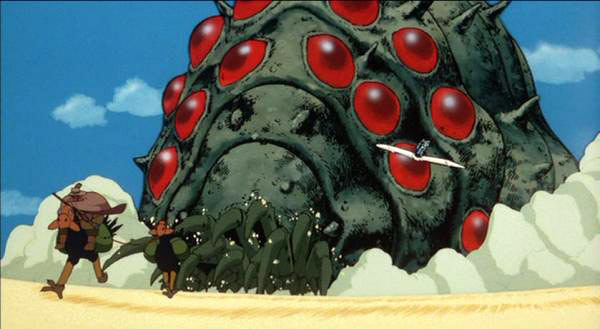 The Giant Warrior's weapons cause explosions that resemble a mushroom cloud near the end, so Miyazaki is clearly showing the evils of governments' focus on building nuclear weapons. The animation looks a bit dated compared to films released today, but the visuals remain impressive. The message of caring for our environment is even more important today when you consider the unfortunate state of our natural world. The story moves fairly slowly, but it's ambitious scope and originality keep it interesting even when the pace slows down. The unique designs of the large insects and the Toxic Jungle are stunning and help the story to avoid becoming too preachy. It might alienate viewers who don't want social commentary with their fantasy tales, but I'm not one of those people. 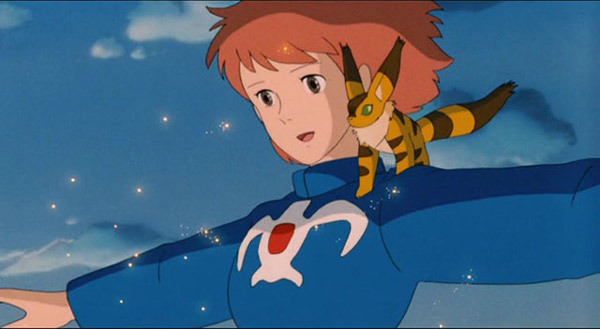 Besides the ridiculous facial hair from many of the guys, the highlight is the character of Nausicaä, who's a likable, brave young woman in a nasty, destructive world. She's the only person who tries to connect directly with the insects, and those moments are some of the best in the movie. 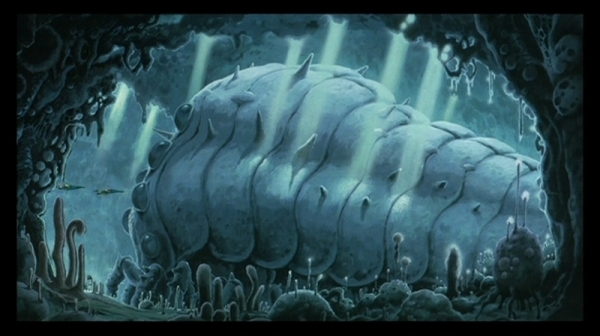 It's hard to care about many of the characters in the bombastic finale, so the audience needs to connect Nausicaä to make the climax work. Another interesting moment involves the caverns beneath the Toxic Jungle. Nausicaa and the Pejite pilot Asbel (Yoji Matsuda) are swallowed by quicksand and find themselves in a beautiful sanctuary. These rooms have clean air and don't require a gas mask, and this much-needed respite gets our hero ready for the final battle. Nausicaä of the Valley of the Wind was Miyazaki's second full-length feature, and it appeared before the origins of the now-famous Studio Ghibli. Its success led to the start of the production company, and he's now become a household name. This early picture definitely shows his original vision and connects to themes revisited in his popular recent films, especially Princess Mononoke. The stunning images of the large insects and their destructive force give a clear message of Miyazaki's feelings. He's warning us about the separation between nature and the industrial civilization but doing so with an adventure film. The final act was less interesting than the earlier scenes because the action scenes overwhelm most of the characters. When Nausicaä's off the screen, Miyazaki's ambitions are almost too much to keep the story flowing smoothly. Would I rather see this film again or listen to the Van Halen album 1984? Once again, this question is trickier than it might seem. I really enjoyed this film's scope and striking imagery, and Nausicaä is a wonderful lead character. However, its nearly two-hour running time starts feeling long, especially during the lengthy finale. 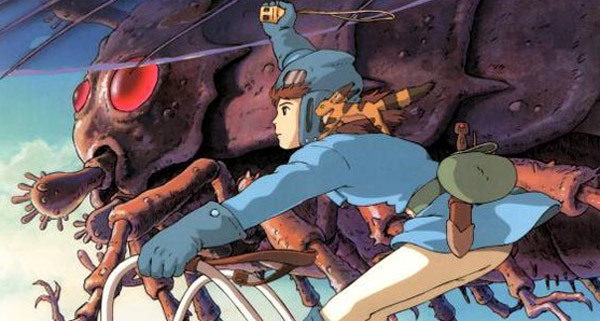 It's an excellent achievement and is worth a look, especially for anime fans, but it might be the best choice to begin your Miyazaki exploration. Choosing an answer to this question would depend on my mood at the time. If I'm looking to reinforce my environmentalist concerns, this is definitely the right movie to spur me into action. It's cool, Scott. If anime's not your thing, this wouldn't be the first movie I'd recommend. I enjoyed it overall, though. I'd probably put this nearer to the bottom of the Miyazaki films I've seen, but that's still better than a lot of the movies that get made. One of the stories I read about this movie is that the first version to be released in the U.S. had a bad color transfer which led to misunderstandings that the main heroine spent the movie bottomless in an extremely short skirt. Later versions corrected this error so that her colored pants/tights were obvious. This is a movie I still have to see. I'm a big fan of Studio Ghibli and this one looks like it's worth watching too. I'll take the risk, despite its length! 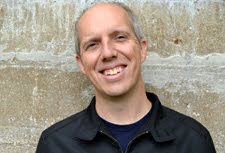 Chip - I did hear about that misunderstanding, which made me laugh. There's even a funny question in the IMDB FAQ asking if Nausicaa is wearing pants. Nostra - I wouldn't name this as the first Ghibli movie to see, but if you've enjoyed the big ones, I'd recommend checking it out. Castor, this was the fourth Miyazaki movie that I'd seen (after Princess Mononoke, Spirited Away, and Howl's Moving Castle). It's at about the same level as Mononoke for me and below the others, but it's still worth seeing for sure. Thanks! @Dan and Castor - I heartily recommend Miyazaki's My Neighbor Totoro and Castle in the Sky. Totoro skews a little younger, but is still very enjoyable. Chip, both of those movies are on my list to see. 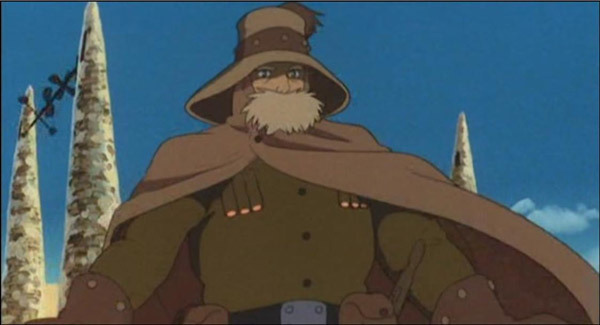 At some point in the future, I'd like to do a Miyazaki marathon, and they would definitely make the cut. Thanks!